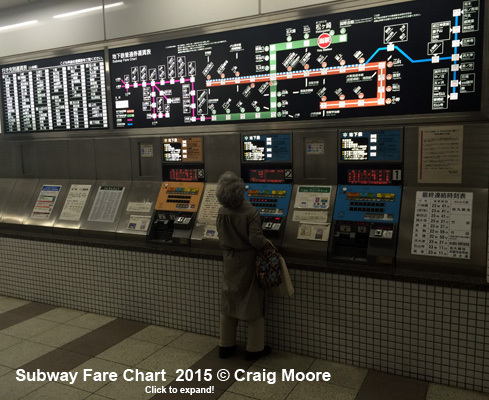 With 1.5 million inhabitants, the ancient capital Kyoto is Japan's sixth largest city. 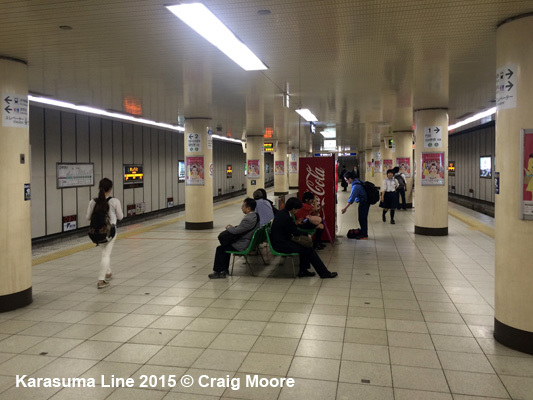 The Kyoto subway consists of 2 lines which are almost entirely underground, the Karasuma Line (1 station - Takeda - is above ground) runs north-south mainly under Karasumaru Road, and the Tozai Line runs from the west to the east and then turns south. 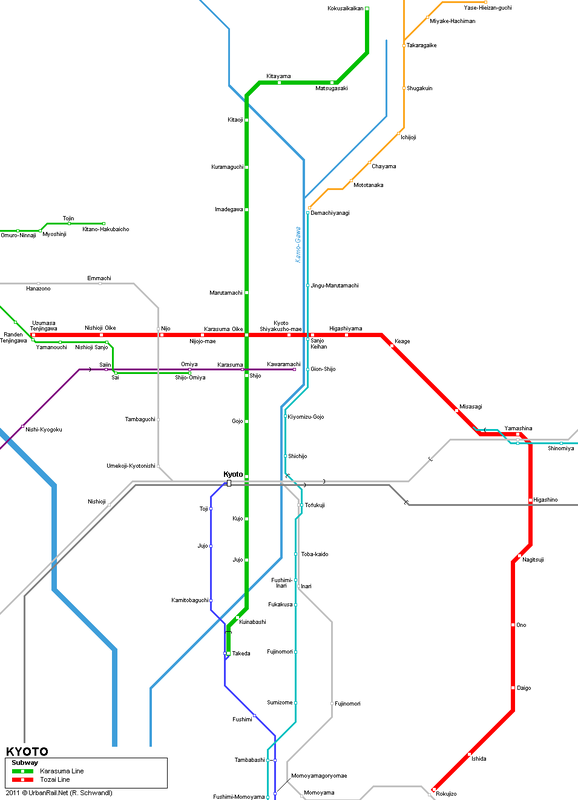 The network uses 1435 mm gauge, catenary power supply at 1500V, and 6-car-trains that run at a maximum speed of 90 km/h. 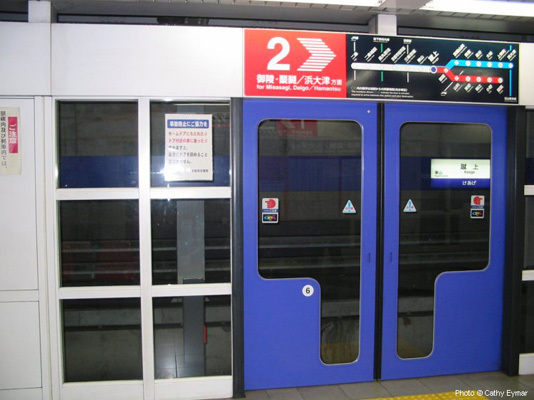 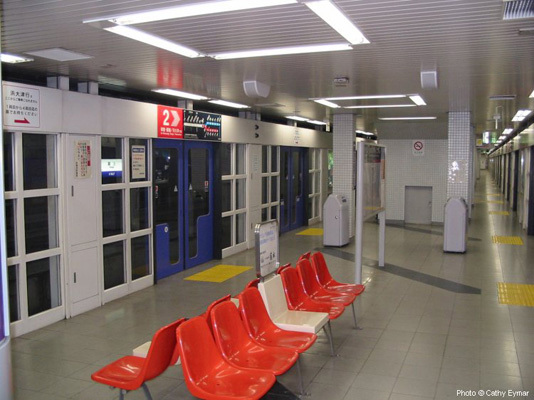 Most stations have central platforms (175 m) and those on the Tozai Line have platform screen doors. 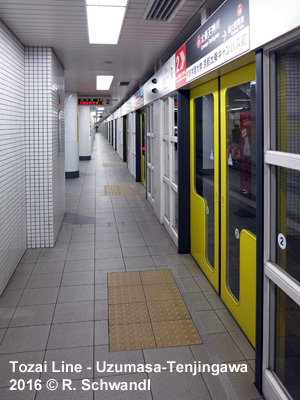 The Kyoto Subway is operated by Kyoto Municipal Transportation Bureau. 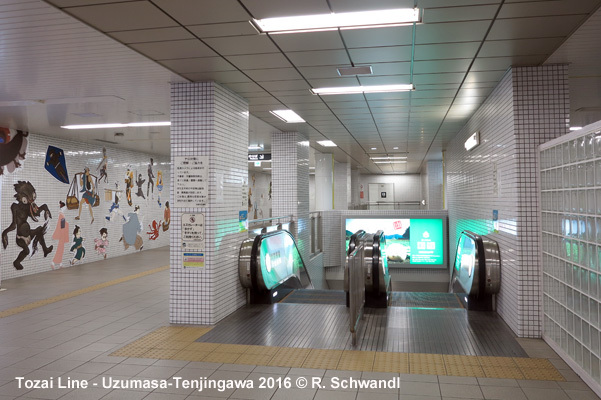 In addition to the two subway lines there is a local north-south line, called Keihan Line, which runs underground along the Kamo River in the center of the city [Demachiyanagi – Marutamachi – Sanjo (interchange with Tozai subway line) – Shijo – Gojo – Schichijo – and then on to Osaka]. 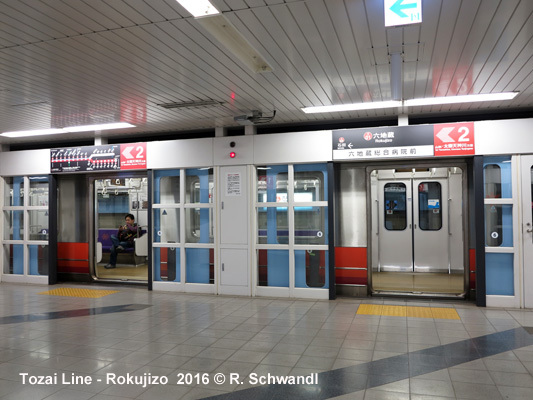 There is also another S-Bahn type line called Hankyu Kyoto Line which runs east-west underneath Shijo-dori street in downtown Kyoto. 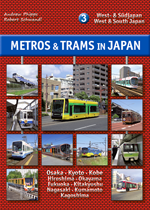 The western districts of the city are served by Randen, a light railway operated by Keifuku Electric Railroad. 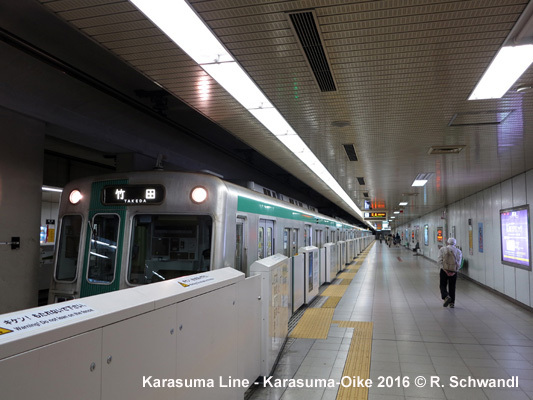 The Karasuma Line (13.8 km) is connected to the Kintetsu Kyoto Line at its southern terminus Takeda with trains running through as far as Kintetsu Nara and Kintetsu trains running through the city on Karasuma Line tracks. 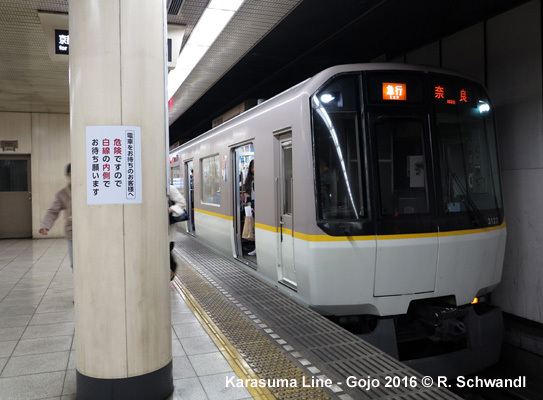 (17.5 km) - On the Tozai Line, some trains of the Keihan Railway (Keihan Keishin Line) from Hamaotsu run on subway tracks between Misasagi and Uzumasa-Tenjingawa. 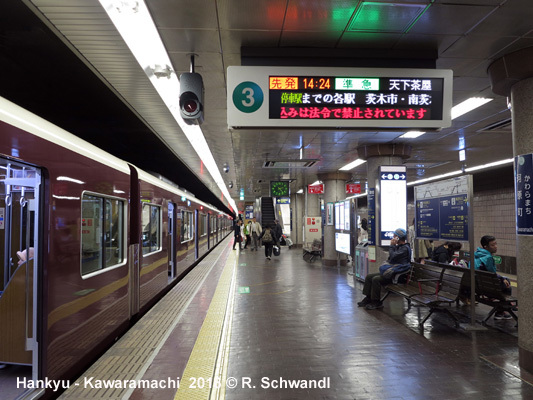 Actually the middle section between Keihan-Sanjo and Yamashina was built by the Keihan Electric Railway for shared use with the subway and to abandon a former street running section. 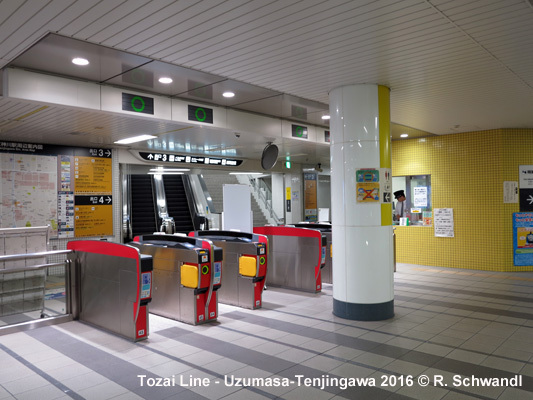 On the western end, the Tozai Line may eventually reach Rakusai new town (10 km). 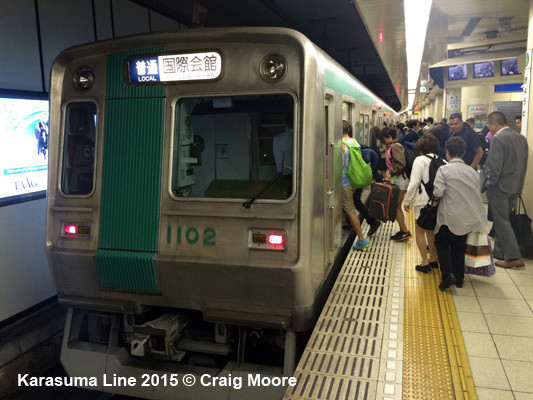 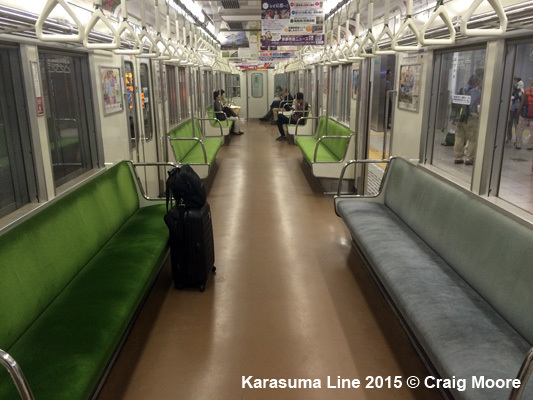 The Karasuma Line might be extended from Takeda to Rakunan new town.